Companies around the world have been experimenting with various ways of grabbing news. While most do it by being cheeky with a rival brand, burger chain Burger King has come up with a whack way to partner with one, even if for a day! 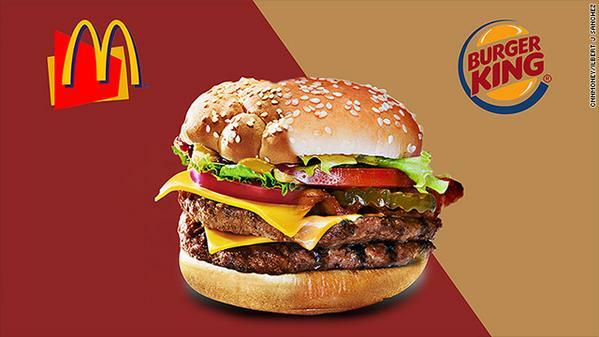 Burger King, through a series of ads placed in major news papers in the US has called on rival McDonalds to create a “McWhopper.”For the uninitiated it’s the portmanteau of all the range at McDonalds (McChicken, Mcgrill) and the most popular burger at Burger King, the big Whopper. Under this, the employees of McDonalds and Burger King would come together for a day- Sept 21st- at a parking lot between a Mcdonalds and a Burger King outlet and create the said “McWhopper”. The proceeds of the event would go to the charity Peace one. 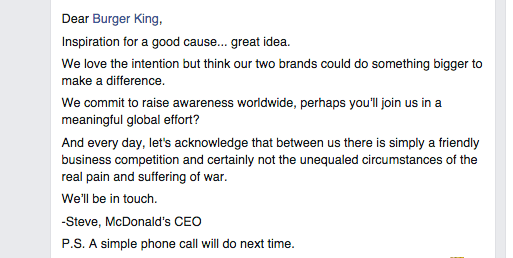 However, in a rather embarassing blow to Burger King, McD has turned down Burger King’s proposal and has asked it to consider something that makes a “real difference” instead, in a rather cutting tone. If this marriage were to be, this is how the McWhopper would’ve looked like. This rather unique stunt seems to be very reminiscent of a similar event when Air Asia chief Tony Fernandes and Virgin man Richard Branson had got into a bet, and whoever won had to serve as cabin crew in the other person’s airline. Branson, making good with the bet he lost, created history with serving as a female crew in an Air Asia flight. 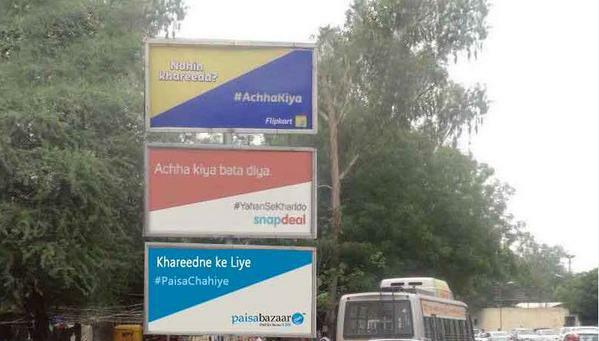 Closer home, ecommerce giant Flipkart had invoked a meme-like series of jokes and rebuttals on its “Accha Kiya” campaign, with many rival and non-rival ecommerce brands adding their own cheeky version of “Accha Kiya” on its (Flipkart’s) hoardings, making for a lot of light-hearted banter.